Dividing property is an important component of every Michigan divorce. It is the job of the court to ensure that neither of you is left in an unfair financial position. The judge has the authority to award alimony payments, referred to as spousal support in Michigan, to one of you. This award might include a portion of the other spouse's retirement pension. Special rules apply to Social Security benefits, which may play an indirect role in calculating support in Michigan. As part of every divorce in Michigan, you may request an award of spousal support. State law allows a judge to require support payments after considering the standard of living enjoyed during the marriage, as well as the division of marital property, including pensions. In determining whether to award spousal support, a Michigan judge may consider additional factors outlined in the law. These factors include the length of the marriage, the past relations and conduct of you and your spouse, and evidence that either of you is responsible for supporting dependents. 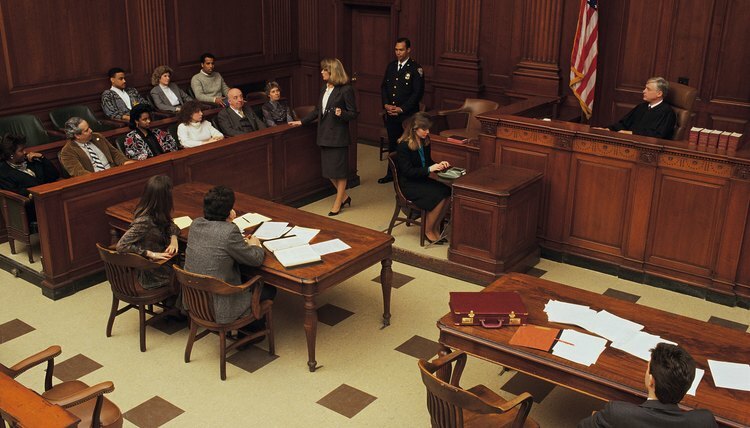 A judge may also consider general principles of fairness, which can be used as a basis for considering any unique aspects of the case. If awarded, spousal support ends automatically if the spouse receiving it remarries, unless you and your spouse agree otherwise and this is included in your divorce judgment. When determining you and your spouse's available resources and ability to pay support, Michigan law allows judges to consider pension plans. The court has two options for calculating the total pension value. One method is to look at the current value of the pension and make a cash award based on future statistical projections. The benefit to this method is that it prevents the spouse who earned the pension from retiring early in an effort to lower the award amount. The projections might prove to be inaccurate, however, and this could result in an improperly high or low award. Another method is to award a flat percentage to one spouse, with payments taking effect once the pension begins to pay out. While this may provide a more accurate valuation, the payment amounts are highly dependent on the actions of the working spouse. Pensions are divided as part of property division, so their disposition can ultimately affect an alimony award. Because Social Security is a federal benefit, state courts do not have the authority to divide them or otherwise direct payment to one spouse. However, a divorced non-working spouse may be entitled to Social Security benefits, based on the working spouse's benefits, if the couple was married for at least 10 years before the divorce was granted. This amount is typically half of what the other, working spouse receives. However, this does not decrease the working spouse's benefits in any way. For example, if you are entitled to $1,500 a month based on your work history, your non-working spouse may be eligible to receive $750 a month based on the length of your marriage and your work record, but it will not affect your $1,500 in any way. The unequal Social Security benefits, however, may factor in to the decision about whether one of you must pay spousal support to the other. How Are Assets Divided in Michigan During a Divorce? What Is Difference Between Nominal Alimony & Rehabilitative Alimony? Alimony is an award of spousal support after a divorce or legal separation. The amount of alimony is determined by the court or by a settlement agreement between the parties, and depends on a variety of factors such as length of marriage, financial status of each party and state alimony guidelines. Some states, such as Florida and Massachusetts, offer nominal alimony awards to preserve a person's right to seek future alimony. How Are Michigan Alimony Payments Calculated? Divorce frequently causes a financial strain for one spouse when the money used to support the household suddenly diminishes when the other spouse leaves. In appropriate circumstances, such as when one party earns significantly less money than the other, a Michigan divorce court can order the higher earning spouse to make alimony, or spousal support, payments to the other spouse to help ease the financial strain. Does a Spouse Receive Alimony When Divorced in Ohio? Spouses can receive alimony during or after a divorce in Ohio, but it’s not an automatic right. Judges make alimony decisions on a case-by-case basis and after considering numerous factors. Section 3105.18 of the Ohio Revised Code lists these factors, but it doesn’t instruct a judge how to weigh them. Ultimately, it comes down to the opinion of the judge whether to award alimony and for how long. Can You Be Ordered to Pay Spousal Support After a Divorce Decree Is Final in Pennsylvania?